Have furry pests gotten into your home or business? Don’t be fooled by their adorable faces. Rodents of all sizes are destructive in nature. They just don’t know any better, but you do! If mice, rats, squirrels, or other small animals have made your home theirs, call Brantley Termite & Pest Control for help today. You’ve heard squeaking and scratching in the walls, have noticed your pets acting strangely, or perhaps you’ve even had the misfortune of seeing a rodent scuttle across your floor. The last thing you ever wanted to be dealing with was a rodent infestation, but it seems like that’s exactly what’s going on. Many people experience a severe phobia of rats, mice, and other rodents. This can prevent homeowners from getting a good night’s sleep, feeling relaxed and comfortable in their home, cooking, and much more. Don’t let rodents control your life, damage your home, and even threaten you and your family’s health. Instead, read this post to get informed about the common rodents in the home, signs of an infestation, what you can do to prevent rodents, and when to call in a professional rodent removal service. It’s time to take back control over your home. Let’s begin by discussing some of the most common rodents that appear in homes or commercial properties. First up is the creature you likely think of when you hear the word “rodents,” the house mouse. They’re gray in color, have a rounded shape, and are usually anywhere from 2.5 to 3.5 inches long, though the tail can be up to 4 inches long. They have larger ears, and a white underbelly. House mice can reproduce incredibly quickly, sometimes having as many as 6 babies in just three weeks. They are also, unfortunately, excellent climbers. This means they can easily get from one part of your home to another, and work with a variety of different surfaces. You might also deal with roof rats. As the name implies, these usually live on your roof — so if you suspect it’s a squirrel up there, you might be mistaken. They enjoy living in attics, and look for cracks and gaps in the roof to sneak into your home. They’re thinner and longer than mice, black, brown, or gray in color, and are around 16 inches in length including their tails, which are scaly in nature. There are Norway rats, too, which, due to their larger size, frighten many homeowners. They’re usually brown with a white underside and shaggy fur. They can reach about 20 inches in length including their tail, and can weigh up to 20 ounces. Unlike roof rats, Norway rats aren’t the best of climbers. However, they are excellent at burrowing, which means they can often sneak into your home completely undetected. Of course, mice and rats are far from the only rodents you might have the misfortune of dealing with! Chipmunks, squirrels, moles and voles, and even larger creatures may become an issue, as well. Yes, rodents can chew through your home’s insulation, destroy your food supply, and leave scattered scraps of paper around your home. They can even chew electrical cords, damage your walls, and, if left alone for too long, harm your home’s foundation. And while these are certainly problems, the real concern of having rodents in your home or place of business are the diseases they can carry — and pass onto humans. These rodents don’t even have to bite you in order to transmit these diseases. Sometimes, coming into contact with their droppings or breathing in their fumes is all it takes. So, what kinds of diseases do rodents spread? One of the most common is called Hantavirus, which usually appears anywhere from one to eight weeks after you’ve come into contact with rodent droppings, saliva, or urine. Hantavirus has a shockingly high mortality rate of 38%. It can cause shortness of breath, nausea, chills and fever, dizziness, and more. Your lungs may fill up with fluid, leading to severe medical problems that often require hospitalization or even cause death. 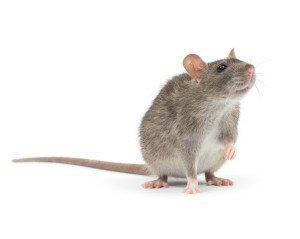 These rodents can also cause Salmonellosis, especially if you eat or drink something that has been contaminated by rodent urine or droppings. You will likely experience cramping, nausea and diarrhea, a fever, and even confusion. These symptoms will last up to a week. Rodents are also known carriers of Rat-Bite Fever. As the name implies, you can get this disease if you’ve been bitten or scratched by a mouse. You can also get it from coming into contact with a rodent that’s already deceased — so following proper disposal protocol is essential. As with Hantavirus, Rat-Bite Fever also comes with a mortality risk. These are far from the only diseases and illnesses that rodents can carry and spread. We hope this has helped you to understand why it’s so important to act as quickly as you can when you’re dealing with rodents in your home. Rodents can live just about anywhere in your home, from the kitchen to your bedroom to the crawlspaces and everywhere in between. They’re more likely to enter your home during winter and fall, as they’re looking for havens from the cold outside. They can often get into your home by climbing up bushes, ivy, and trees near the front of your house. As such, it’s smart to keep these plants at least a few inches away from your home, and to trim them regularly. They also enjoy spending time in both indoor and outdoor trash cans. Make sure you take out the trash in your home as often as possible, and store outdoor garbage cans far away from potential points of entry. By trash cans with lids, and make sure those lids are closed at all times. Rodents have also been known to hide in shipping boxes, packaging, and even grocery bags. Take a quick look inside these items before taking them into your home. They can also set up shop on your stovetop, in kitchen cabinets, in your walls, and elsewhere. Now, let’s talk about the signs you should look out for that may signal a rodent infestation. First of all, you may notice rodent droppings on your floors or other surfaces, especially near points of entry like your door, under or around an air conditioning unit or heater, or areas close to the walls or baseboards. They may also be inside your pantry, or anywhere else you keep food. The droppings will look like black and brown raisins or rice, and will be all over the house — not in one particular location. You may also hear the sounds of a rodent gnawing, squeaking, or walking around inside your walls or elsewhere on the home. You may even hear these sounds on your roof. Since these creatures are mainly nocturnal, you’re more likely to hear these unpleasant sounds at night. You may also want to take a look at your furniture and even electrical cords for teeth marks. This is especially helpful, as the marks will likely appear close to the rodent’s nest or point of entry in the home. In some cases, due to their poor vision, rodents may leave dirt marks on your floors and walls to create a kind of trail. We know you’re anxious to learn what you can do to stop rodents from entering your home in the first place. The number-one thing you can do is to seal off any gaps, cracks, or holes in your walls, baseboards, cabinets, and anywhere else you see them. Ideally, replastering or caulking is the best fix for this, but steel wool shoved into the gap will work in a pinch. Also, do what you can to control the levels of moisture and humidity in your home. This means fixing leaks and cracks as soon as you can, and making sure you take ventilation in your attic and basement seriously. You’ll likely need to get rid of excess clutter in your home, as mice, rats, and other rodents see piles of junk, boxes, and even old newspapers as an ideal place to create a nest. If you need to store firewood, make sure you do it outside of your home. Finally, take a look at how you’re storing your food. Whenever possible, food you keep in your cabinets and pantry should be stored in airtight containers. This isn’t just about preventing rodents from getting into the food. You also don’t want them to be able to smell it. If you suspect you might have a rodent already, put all the food you can into your freezer or fridge. Setting up traps is an effective way to kill rodents, of course, but they won’t usually prevent more from coming into your home in the future. Especially if you have a serious infestation on your hands, you need to contact a professional. In addition to removing the rodents from your home, they can also inspect your property for potential points of entry. Though prevention is the best cure when it comes to rodent infestations, the unfortunate reality is that, sometimes, rodents will get into your home no matter how hard you try to keep them out. Factors like your climate, your home’s location, and even the condition of your house are all things that can be tough to control. The best — and safest — thing to do is get in touch with a professional. The process begins with an inspection of the home. You can let the experts know where you’ve seen rodents or signs of rodents in the home, and where you suspect the nest or point of entry may be. There may be more rodents than you think — and different types of them — in your residence. A professional will be able to accurately assess the situation and come up with a plan of action. Often, this involves both eliminating the rodents completely and sealing off any access points in the house using wire mesh, caulking or plastering, and much more. The exact method of rodent removal will depend on the kinds of creatures you have, as well as their location. The professionals will also remove any dead rodents they find in your home. Especially if you’ve noticed numerous dead rodents, we strongly suggest you don’t attempt to dispose of them on your own. An expert can safely remove the rodents from your home or commercial space, so that you don’t have to put your health at risk. Are You Dealing with Rodents in Your Home? We know that no one likes to think about sharing their home or workplace with rats, mice, and other disgusting rodents. It’s important to keep in mind that rodents don’t just threaten the structural integrity of your home and damage your furniture. They also carry serious health risks that you absolutely shouldn’t ignore. If you suspect you may have a current rodent infestation, we urge you to schedule a free estimate with us as soon as is possible. In addition to helping you get a rodent problem under control, we can also assist with termites, fleas/ticks and other pests, lawn care, and much more. No matter what kind of critter or pest you’re currently facing off against, rely on us to take care of the problem. Brantley Termite & Pest Control is more than just an honest company. We’re fast too! We arrive promptly, fitting you into our schedule as quickly as humanly possible! Honestly, we don’t simply ask our customers what they’ve seen and where. We perform a full inspection of your home or business, identifying pest locations requiring treatment. We understand that the cost to eliminate pests from your home or place of business is usually an unexpected one, which is why we offer free estimates to get you started! In order to determine what steps are needed, our service techs will conduct a full evaluation of the building in question to identify the type of rodent as well as the number of animals involved. Access points are determined to assist with the removal. 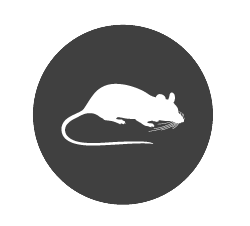 Once the type of rodent has been identified our technician completes a full-scale plan of attack that includes getting rid of the pest along with suggesting ways to keep it out in the future. We’ll help you to identify access points so that you can take the steps needed to secure your property against future pest invasions. Our technicians not only trap and secure the pest for removal, but they also take steps to deter new rodents from entering. Our staff uses a systematic approach for rodent removal. The strategies vary according to the type of rodent, time of year (nesting versus hibernation), the number of pests involved and the exact location of their chosen spot for entering and leaving the home. Keeping pests out of your building is easier than getting them out once they’ve moved into it. This is why we provide clear suggestions as to the steps you need to take to minimize the possibility of a new rodent infestation. Such tips might include securing holes, sealing cracks, and using wire mesh to seal off vents.